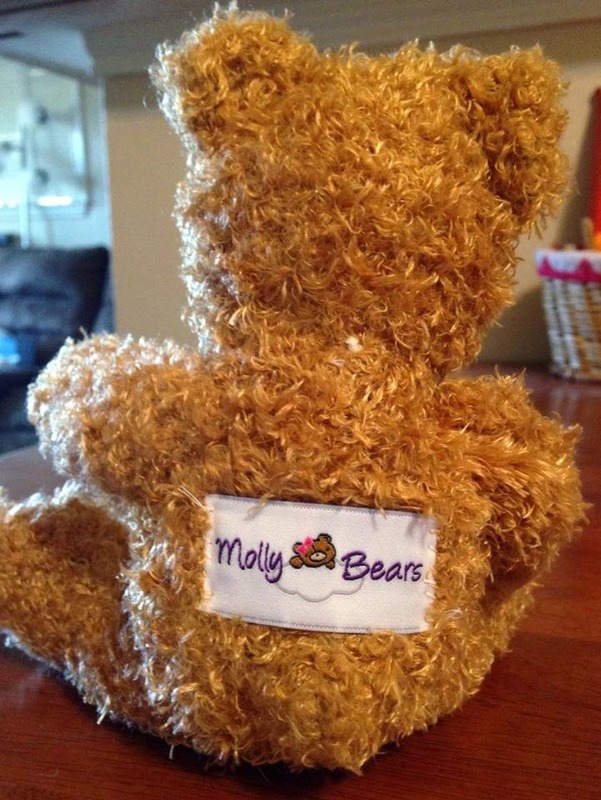 There is an organization named Molly Bears who provide a very unique service. 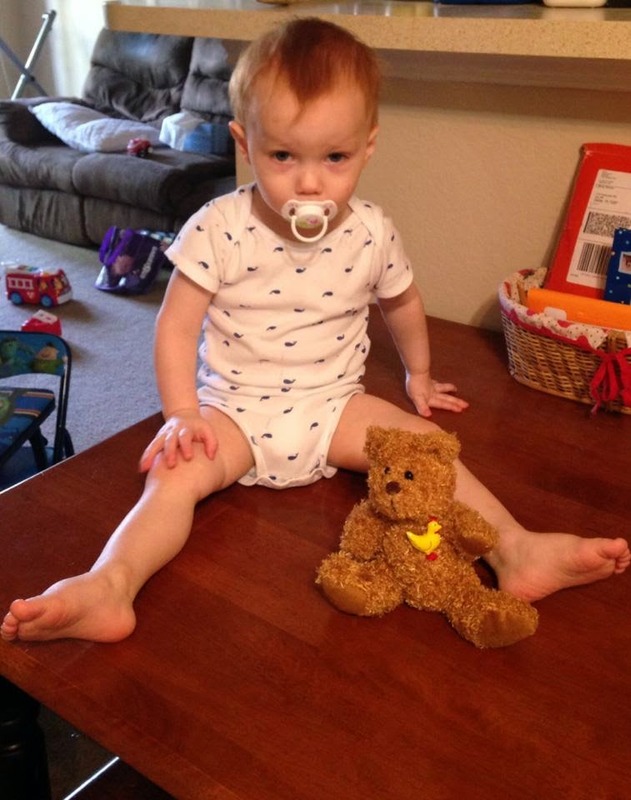 They make custom bears for family who have experienced pregnancy or infant loss. 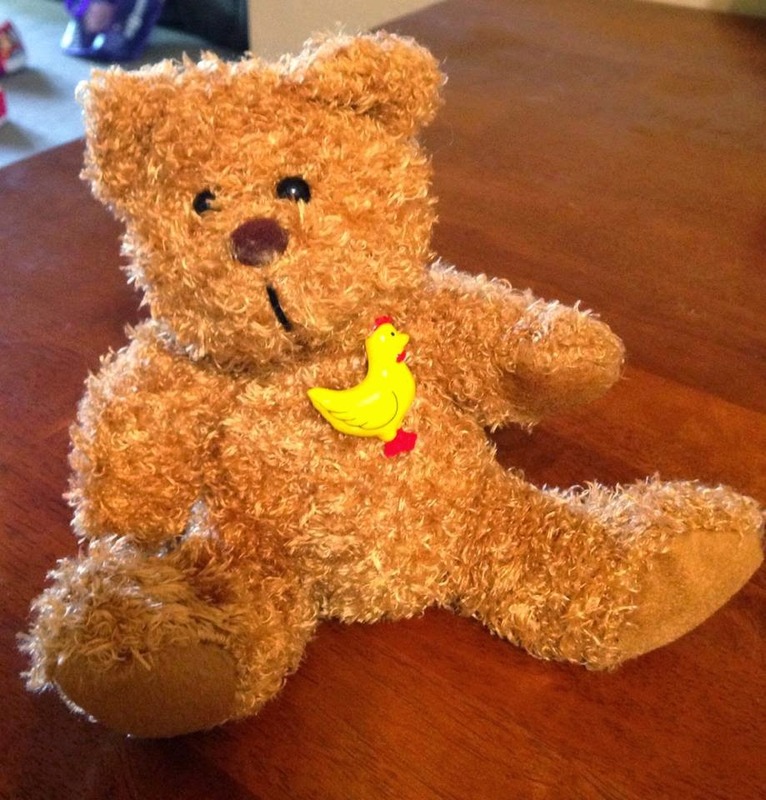 The bears are weighted as the same weight as the infant lost or they provide a mini bear if the loss was early and weight was not known or taken. I heard about them a few years ago when I was in several Facebook support groups for miscarriage/pregnancy/infant loss. I put my order in and finally; two years later we received our Molly Bear last month. 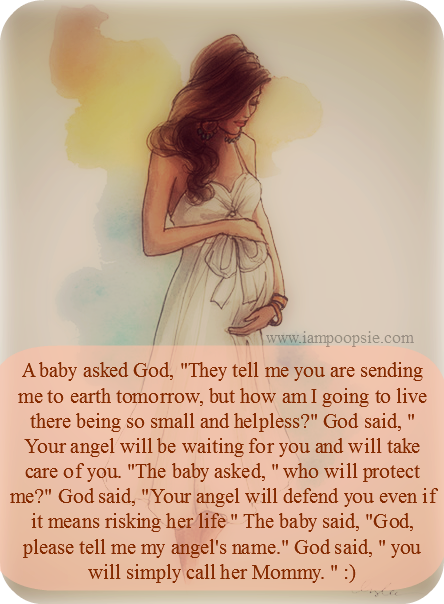 The loss we endured on New Year's weekend 2011 was a first trimester loss so we never knew our angel's gender. I named "it" Chicken-Wing because that was all I craved all day every day along with nachos. Chicken-Wing Bear will forever be treasured! If you are looking for a charity to donate to in 2014 or any future year keep these folks in mind! 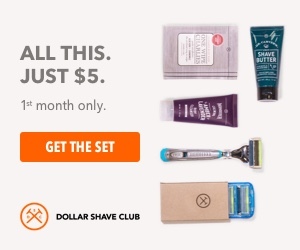 Molly Bears is a non-profit company and they run solely off donations. Their bears bring comfort to families who are hurting and grieving. You can learn more about donating HERE. Have you ever had an idea that sounded really good but turned out to be a fail? It's time to replace to toilet brush and I don't want a plain boring one this time....I said.. 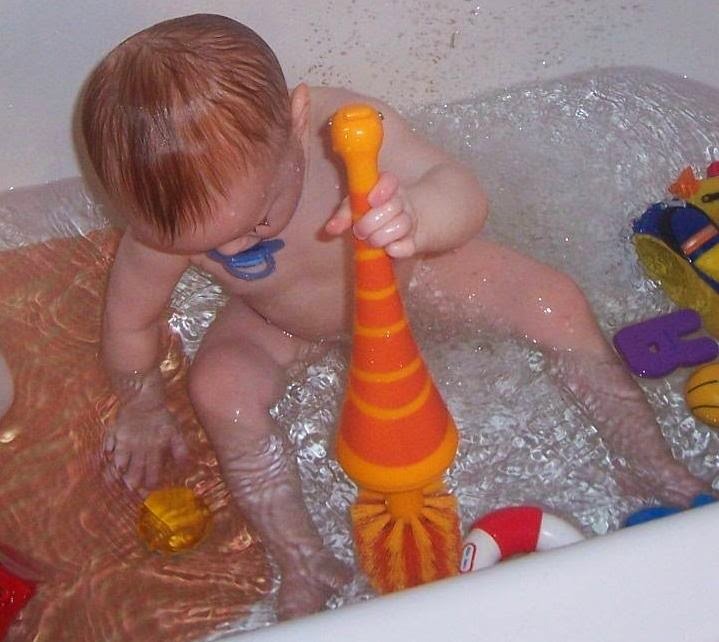 It was cute until Calvin decided it looked like the perfect bath toy and drug Mr. Giraffe into the tub with him. I came in to check on him and just could no believe what I was looking at! Oh my! Oh my! Oh my!! At least when these pictures were taken it was brand new and I had not used it yet. Unfortunately, that was not the last time he has got a hold of it. 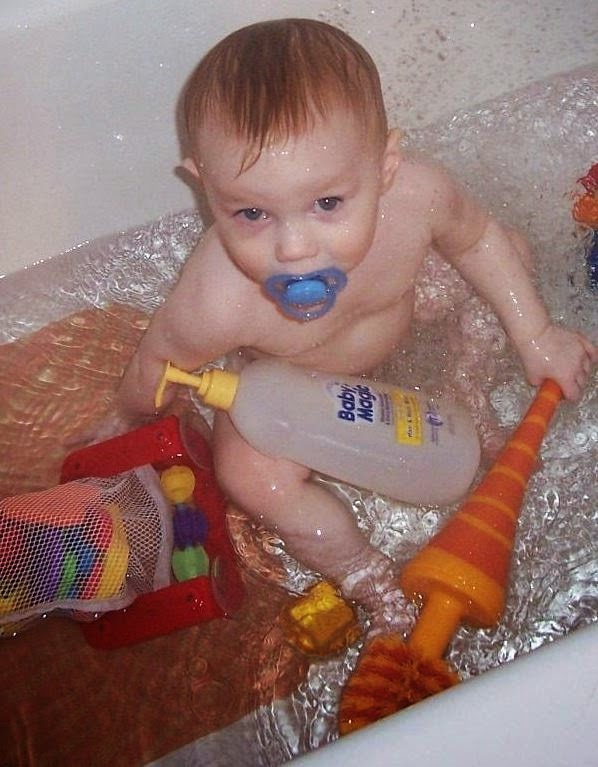 He has snuck it out of the bathroom several times and I have found it in his room, the living room and our bedroom. This child of ours....I just never know what's coming next. When it comes time to replace this brush I will get a regular brush! "I just couldn't believe what I saw" has become the story of my life!